The oldest direct-to-consumer extraction lab in Southeast, Portland Extracts has been serving the recreational and medical markets quality cannabis products at rock bottom pricing since 2012. Located at SE 21st & Division, we serve Ladd's Addition, SE Division, Hawthorne, Powell, and the greater SE Portland. Our dispensary is known for artisan extracts, solventless concentrates, and pristine flowers from throughout the great state of Oregon. Sourcing and attention to detail are what set Portland Extracts apart. Recently named to Leafly's Best of Portland 2018 for our killer prices, you can find our products throughout Oregon as well as at our flagship. Here's what Leafly's Matt Stangel had to say: "I’ve thoroughly enjoyed the shop’s $5 concentrates created using B-grade materials, and their more recent foray into A-grade inputs from Boring Weed Co. is resulting in mouthwatering collabs. 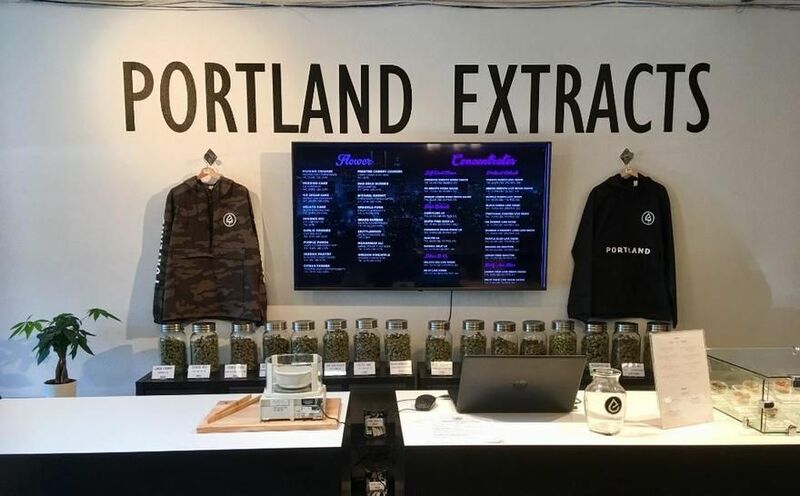 Additionally, when I last visited Portland Extracts, in stock were 12 varietals from the aforementioned Boring Weed Co.—a recreational offshoot of the famed Oregon medical garden Real McCoy Farms that consistently delivers some of the finest ornamental flowers in the state." We are dog-friendly!